La Martiniquaise reported a record annual turnover of €1bn in 2017, representing an increase of 2.2% on the company’s €980m turnover for 2016. Credit: La Martiniquaise. 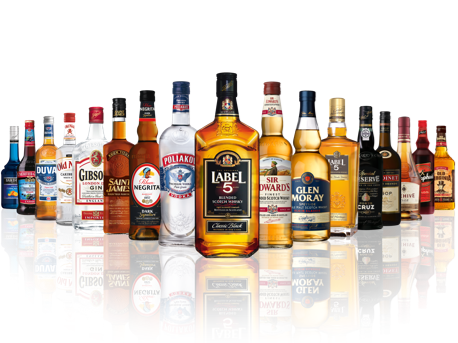 French spirits group La Martiniquaise reported a record annual turnover of €1bn in 2017, representing an increase of 2.2% on the company’s €980m turnover for 2016. The €1bn figure follows steady growth for the company caused by it following its ‘consistent long-term strategy’ and its compliance with its ‘one-stop-shop approach’. The company claims it has experienced 60% growth over the past five years. The company has successfully achieved expansion beyond France into Europe, primarily through the development of a net of strong European subsidiaries. Its most recent significant acquisition was the Netherlands distributor Inspirits. La Martiniquaise international marketing director described the French market as ‘stable’ to The Drinks Business at the ProWein international fair in March. The group has also begun to move beyond Europe. Its high-performing Label 5 brand is distributed in more than 100 countries and reaches top whisky rankings in several markets. La Martiniquaise is one of France’s largest spirits businesses. The company produces a range of spirits and ready-to-drink wines and soft drinks. Its spirits portfolio includes brands such as Poliakov vodka, Sam Barton whisky, Saint Vivant brandy, Gibson’s gin and Saint James rum.